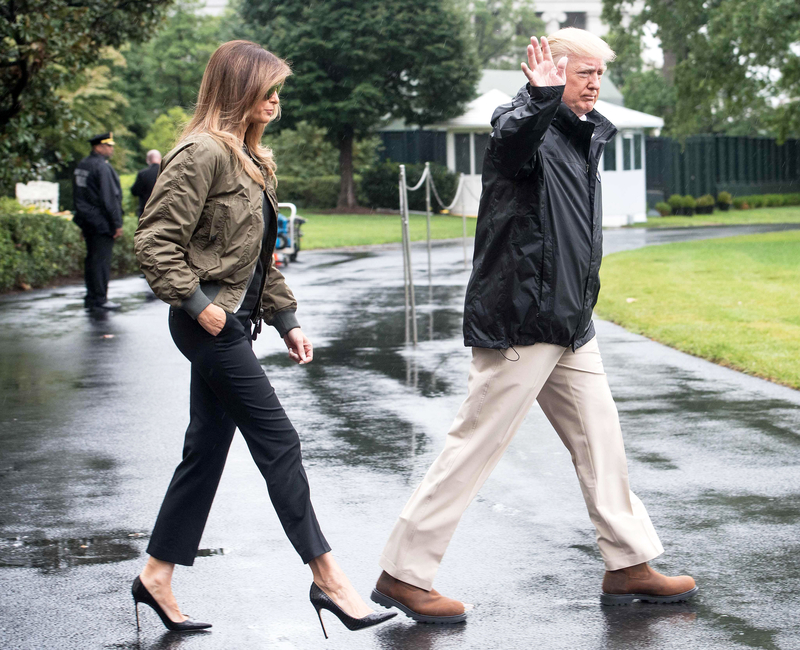 First Lady Melania Trump joined her husband for a visit to Texas following the devastation of Hurricane Harvey, on Tuesday, August 29, wearing a pair of shoes that sparked quite a bit of controversy. Trump was photographed departing the White House this morning wearing weather-appropriate separates including a bomber jacket, tailored black pants and a black top, which she paired with a functional pair of aviators. Less practical: FLOTUS’s sky-high snakeskin stiletto pumps. 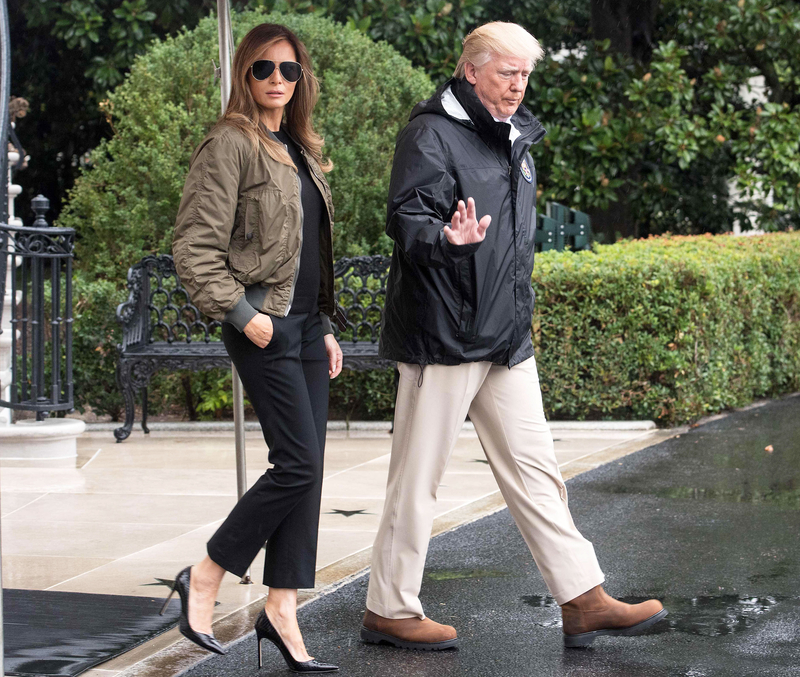 The glamorous choice of footwear raised quite a few eyebrows (though it’s a style Trump often wears), drawing the ire of many on Twitter who felt that the decision was insensitive and inappropriate for a visit to a city submerged in floodwaters. However, upon arrival in Texas (and likely due to the outrage), Trump changed her attire, slipping into sneakers, a look more suitable for the task at hand. The First Lady joined her husband visiting the victims of this past weekend’s natural disaster in Corpus Christi, sporting black skinny jeans, a white button down, Adidas sneakers, aviators and a FLOTUS baseball cap.